Polymyalgia Rheumatica is an inflammatory rheumatic disorder characterized by aching or stiffness of primarily the shoulders, hips and neck. These symptoms commonly present in the morning or after long periods of inactivity. Polymyalgia rheumatica may develop rapidly (literally “overnight”) or may have a gradual development over weeks to months. The cause of polymyalgia rheumatica is unknown, but is associated with immune system dysfunction that may be triggered by genetic factors, environmental factors, or by an infection.The disorder almost always occurs in patients over the age of 50 and occurs two times more often in women than men. Caucasians are more likely to get polymyalgia rheumatica, particularly if they are of Northern European or Scandinavian descent. Because polymyalgia rheumatica is a systemic disorder caused by immune dysfunction, patients may not only have musculoskeletal manifestations, but also may experience constitutional symptoms such as fatigue, fever, loss of appetite, weight loss and weakness. A diagnosis of polymyalgia rheumatica is made based primarily on the history of symptoms, physical examination and laboratory testing. The typical laboratory findings are an elevated sedimentation rate and elevated C-reactive protein. 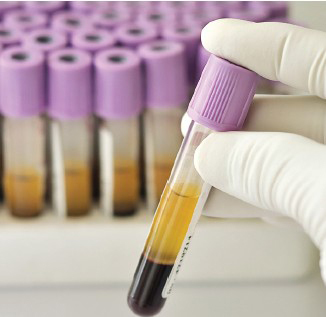 Both of these blood tests indirectly measure inflammation in the body.These tests are not necessarily specific for polymyalgia rheumatica and may be elevated in other conditions such as cancer and infection. However, they are usually elevated in polymyalgia rheumatica and if they are normal there is usually a lower suspicion that the patient has polymyalgia rheumatica. A complete blood count may also reveal anemia and high platelet count. Polymyalgia rheumatica and rheumatoid arthritis may cause similar symptoms and conducting blood tests for rheumatoid arthritis may be helpful to distinguish between these two conditions. then gradually tapered. 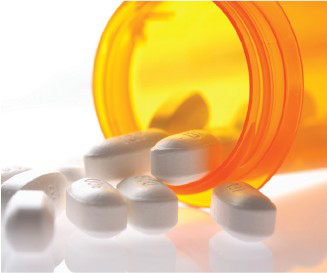 Most patients can discontinue taking prednisone after 6 months, but some require treatment for up to 2 years. 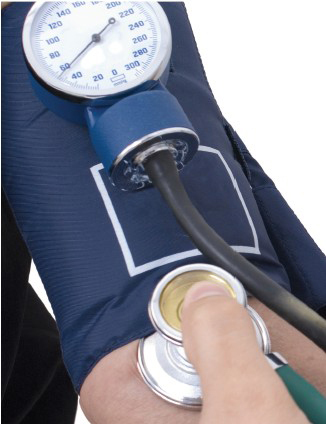 If the sedimentation rate and C-reactive protein are high at diagnosis, they also will decrease with treatment and may be used to monitor response to treatment. Temporal arteritis/Giant cell arteritis: This is a very serious condition, called vasculitis, that causes inflammation of the arteries (arteritis). It occurs in about 10-15% of patients with polymyalgia rheumatica. Arteritis, if left untreated (usually requiring higher doses of prednisone than polymyalgia rheumatica), may lead to irreversible blindness. Symptoms usually involve scalp tenderness, jaw pain with chewing, and blurry or double vision. If these symptoms are present, urgent medical attention is required to determine if you have arteritis. Side effects of prednisone: Low doses of prednisone may warrant monitoring of potential side effects such as high blood sugar, weight gain, insomnia, cataracts, thinning of the skin and easy bruising, and high blood pressure. Prednisone may also increase the risk for osteoporosis (bone loss) and screening for this with a bone density test is essential. Dietary supplements containing calcium and vitamin D, and possibly an additional bone-preserving medication, may be prescribed.